This is beautiful, what is that velvet? When I spotted this velvet dress at Goodwill for $4.50…I fell in love! Velvet is a major trend for 2016 winter season and I’m happy for its comeback. 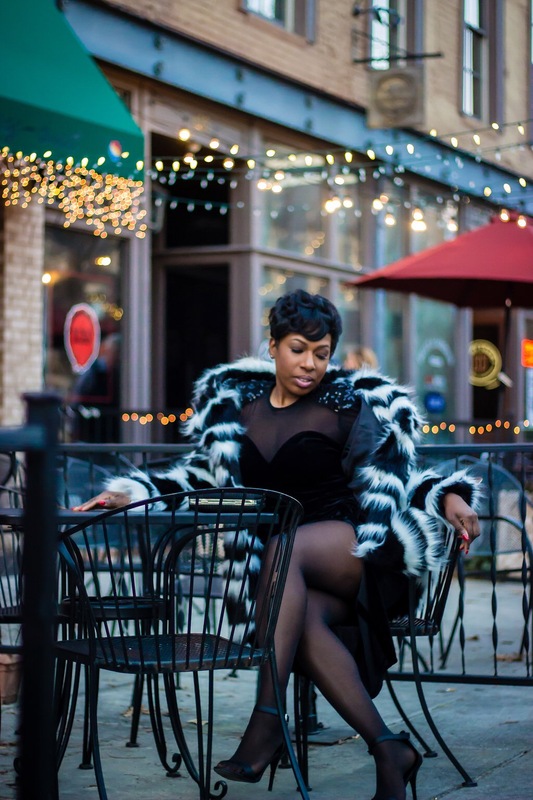 For me, Velvet has always had a certain elegance to it and if you can wear it without looking 100 years old…get it girl! Check out the outfit details inside and watch my get ready with me video on YouTube here! To keep warm and make the look appear more youthful I paired the dress with faux fur coat on sale for $22 at Forever 21.
and conduct an impromptu photo-shoot. 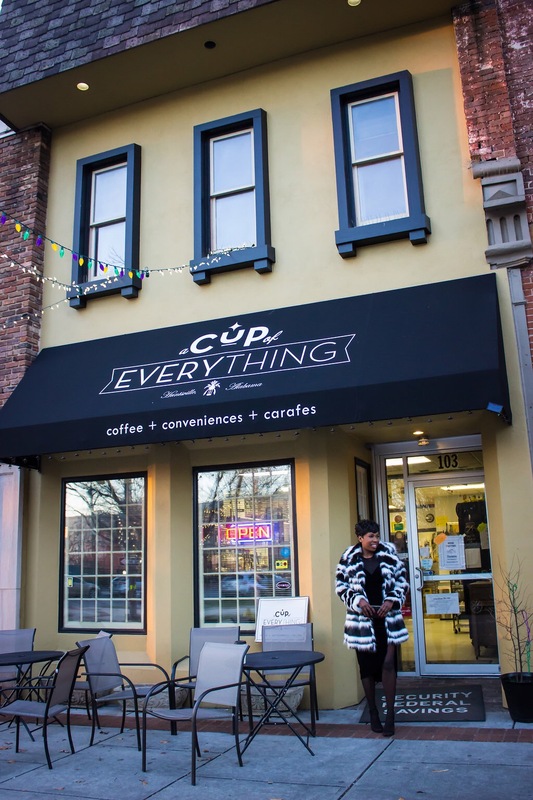 A Cup of Everything is located in the heart of Huntsville. 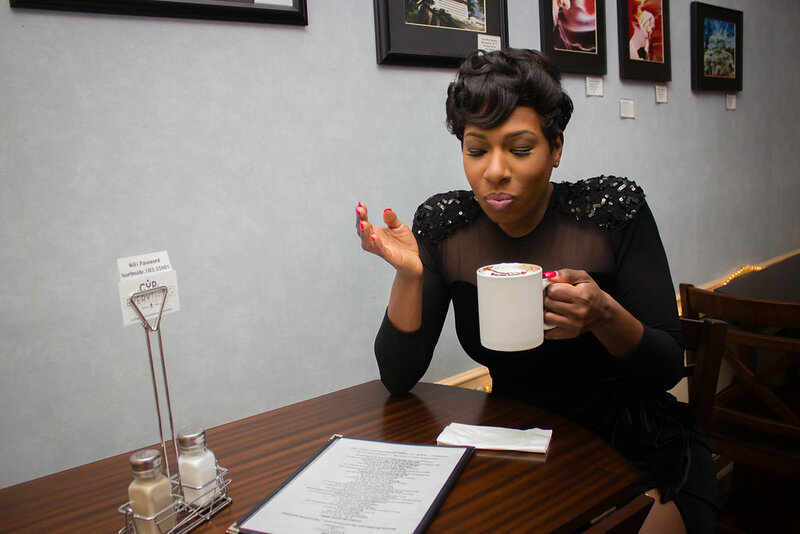 From hot chocolate to an amazing art gallery upstairs I love the ambiance and it’s perfect for a date night!